For the average computer user, some could care less on how their desktop looks like. But don�t tell that to Dell as they have unveiled a couple of great designs that the average Joe is bound to fall for. Dell first started out as a maker of computers that users could customize with the exact hardware that they desired. Dell made its name on the customization options it offered buyers. More recently, Dell has been letting shoppers customize not only the hardware inside the notebook or desktop, but has been offering custom colors and designs on the exterior of the computer as well. Dell has announced new Inspiron desktop computers called the Inspiron slim and mini-tower. 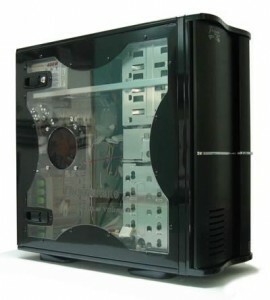 The new machines can be customized with eight different colors that completely cover the front panel of the computer. Dell says it is the only major computer maker allowing users to color customize a desktop computer. For sure, most computer geeks are going to want one of these customizable desktops coming in different colors and themes suitable for the taste and requirement that each wants. They seem to carry the sleek and slim design and apparently the issue of space allocation is obviously covered as well. Leave it to Lenovo to introduce three new desktops in the market as the growing demand for advanced computer technology continues. Businesses continue to seek better desktop solutions and while many of Lenovo�s competitors are coming out with their own versions to stay abreast with the growing demands. Among the reasons for the increase in more powerful peripherals like the Core 2 Quad CPUs from Intel and accommodate up to 4GB of DDR3 memory. The IdeaCenter H200 is perhaps the low-end desktop from the three. It is designed for users who only need to surf the Internet and check e-mails. The H200 is its first desktop computer to use an Intel Atom processor normally found in Netbook computers only. The IdeaCenter K220 will start at $449 with the K230 starting at $499. Both of those machines will be available on January 20. 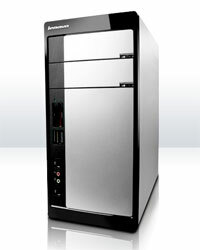 The Lenovo H200 went on sale on January 10 at a price of $399.99 including a ThinkVision L195 LCD monitor. 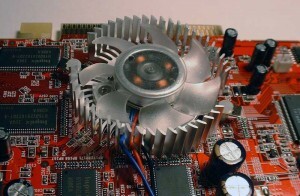 When it comes to fixing a certain part such as perhaps a PC video card, there is no doubt that they are getting cheaper as video card vendors are slowly coming out with new ones today. While many would consider buying a new video card, trying to make do with old ones (assuming they are still functioning properly), would be best done until the time you consider buying at least a brand new CPU with parts that are advanced than your new one. There was a previous post before about changing the auxiliary fan of video cards for the time being while saving the cost of buying a new video card. The price disparity is glaring considering that a well-fitted auxiliary fan would cost about 10% of a brand new video card. With some changes to the fans, you may be surprised at how much you can save for now rather than buying a new one which may have cases as not being compatible with new motherboards once you finally decide to upgrade. There is no doubt that some video cards and peripherals are flexible. In fact, you can go as far as using them again in the future. There are usual AGP or PCI slots common in most motherboards and before you buy a new one, you know the slots of the motherboard needed to entertain your old specs. 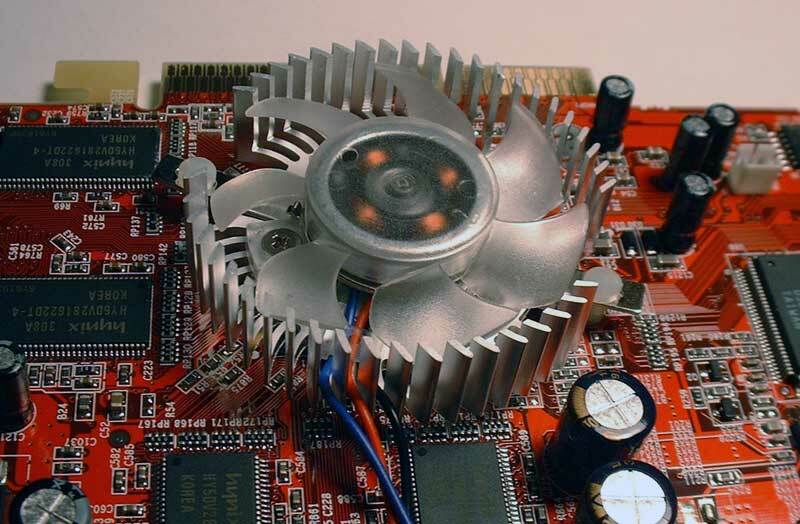 But ask yourself first if you would make use of old video cards when you get a new one. For sure you will be getting a new since a new CPU would tempt you to get it as a whole anyway. So with that in mind, what would you do with the old video card? Sell it perhaps? Maybe but then again, consider the cost analysis. You may have been better off fabricating your old one instead. Aside from the holidays coming in, computer stores are desperately trying to get rid of old inventory with the expectation that new processors and desktop solutions from Intel shall be soon hitting the market. We have been hearing much buzz about Intel�s new chip such as the Intel Corei7 and chances are people will start looking for them these holidays to put their bonuses to good use. The problem is how do you get rid of the old ones? For one, price drops and cheap computer packages are bound to be spreading like crazy. People may be looking at the new Intel Corei7 processors but make no mistake about it, customers are not about to let good deals pass. Pairing these discounted desktops with fast moving products such as NVIDIA video cards or large capacity hard disks are bound to be aplenty as people are looking to upgrade old computers for faster and powerful ones offered today. So are the customers going to bite? Surely they will. The new processors will be out and one thing that people are expecting are price drops. The new Intel Corei7 is not expected to come out cheap as for sure, only a selected few can afford them once they hit the market. With that in mind, consumers are expected to have a field day checking out the stores for their usual packages this Christmas. They will get rid of old inventory but it all depends on the lucrative deal that will be offered by them. Conservative and economical consuming desktops are being sought after by most PC enthusiasts today and apparently Dell has heeded the call. Majority of these requirements are being called upon by the commercial sector as we see the growing demand for wise consuming computers in lieu of the traditional ones which seem to be eating up a lot of energy when operated parallel to business. 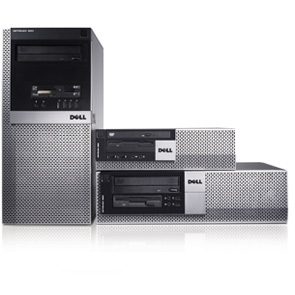 The Dell OptiPlex desktops aim to cut the consumption issues by more than half of the standard consuming energy PCs today and this will certainly capture the fancy of most companies who want to bring down electricity consumption costs that they have to deal with today. Energy consumption is a key utility expense that many companies want to answer and while the investment may sound petrifying for most, it remains that if you want to change something concurrent, you have to start by getting rid of the old PCs and get the new ones into your fold. It is not a matter of only upgrading but also about investing wisely in your IT infrastructure. PCs serve as workstations that gather data and are point of origins in an office setting. Many companies are due for an overhaul in the IT side of things and apparently Dell offers the OptiPlex to answer all these problems, both for computer requirements and of course addressing the power consumption issues. Rarely would you see a computer owner be satisfied with the usual default themes and images that they see on their desktop at first boot. Themes can be changed and so can the default locations of things components such as the sidebars. Before you know it, you have a unique looking computer desktop that suits you perfectly and makes it easier for you to use. Ideally, it would be best to turn to simple looking desktops. But the problem is defining simplicity and complicated desktops. We all have our own ways of making good desktops based on our taste. Perhaps the best way to go about it is to look around for ideas and tips on how to conceptualize a unique but ideal desktop. Now this may be easy for Windows Vista. For the other users who are still hooked on Windows XP and other prior releases, you can do the same. The ways to go about it is simple since all you have to do is to go to the control panel and click on the Display settings or Themes (if you have one) and you are on your way to get that unique desktop you have in mind. As a customer, we will always be looking for freebies to go with the product we buy. They may come in the form of bags or any small but useful item. However, the last thing we would want to get is a virus to boot, coming together with a brand new PC. Security risks are important to ensure optimum performance of computers but when they initially come with viruses already, there is something severely wrong with the process. Internal sabotage perhaps? Well you cannot discount the possibilities. For one, lower priced computers will always have their share of peculiarity. Why would someone sell a computer at a cheaper price? Some may use it as a marketing perspective, others perhaps as a means to dispose of old inventory. There are also others who simply want to turn it into cash or something liquid to get them going. But in the end, if you are not careful, you may be getting more than what you bargained for. Such is the case of this Taiwan discount personal manufacturer who has allegedly discovered viruses residing in the about 4,500 Eee Box Desktop PCs. They have been since recalled and while the effort may be commendable, it is also a big dent and is certain to draw criticism as how these viruses got inside these PCs in the first place.